Join with us and other volunteers in your area to be part of the team that ensures that the Up to Us engagement pathway expands its reach and builds a critical mass of conscious, committed leaders in the world. Pass It On is a leadership program that supports, inspires and prepares its participants to be leaders who share the messages of the Awakening the Dreamer program and the Game Changer Intensive, to build vibrant local Pachamama Alliance Communities of engaged citizens committed to social justice, environmental sustainability and spiritual fulfillment. By participating with the Pass It On leadership program, you become a key part of a global community of leaders who are re-imagining, inspiring and building the future we all want. You'll gain a sense of your capacity to make a difference in the world and experience the satisfaction that comes from contributing to the lives of others. You'll contribute to multiplying the impact of the messages and vision of the Awakening the Dreamer program and other elements of the Up to Us engagement pathway. You'll discover the joy of providing others with a new perspective on what's possible for themselves and for the world. You will have access to the resources and training you need to have your voice and actions make a difference in the world. You will belong to a worldwide network of people who are in action together around bringing forth an inspiring new vision for humanity. To match your unique interests, your skills and how you see yourself contributing to this work, we provide several options for participating. One key aspect of the Pass It On leadership program is the opportunity to present, produce or host Awakening the Dreamer Symposiums. 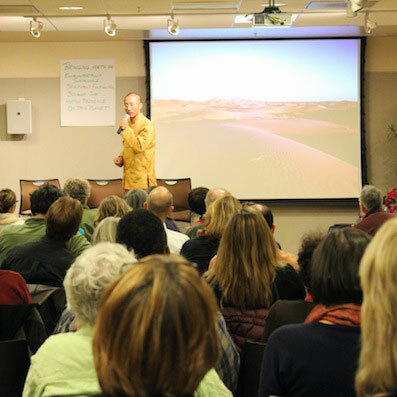 By bringing Symposiums to your community, you grow the body of people in your area committed to bringing forth a sustainable, fulfilling, and just human presence on this planet. Trainings, an online orientation, and multiple resources are available to assist you, and you can join a support team of other people delivering Symposiums. You can dive deeper into the material of the Game Changer Intensive while supporting participants’ journey by becoming a volunteer moderator. Moderators play a vital role in making the Intensive come alive for people, augmenting the rich material with rich, meaningful discussions and discourse. Do so online or in-person; training and guidance are provided to ensure you excel! You can play a role in supporting the well-being and growth of the local community of people participating in the Up to Us engagement pathway, including hosting events and discussion groups, facilitating local meetings and communications, and developing other ideas for community growth. You may choose to become a regional leader, someone committed to building participation in the Up to Us engagement pathway in a broader geographic area. We provide tools, training and access to an online community of dedicated, seasoned regional leaders to support your efforts. If an official Pachamama Alliance Community hasn’t been formed in your area, you may choose to start one by becoming a Community Coordinator. Coordinators are people committed to sharing the Pachamama Alliance’s work in their local area and are willing to act as a “host” so that others who may want to join and participate can. Ideally Coordinators are people who have been trained to lead the Awakening the Dreamer Symposium but can be anyone who has taken the Awakening the Dreamer program or the Game Changer Intensive. Join a Pachamama Alliance Intro Call to have your questions addressed and learn more about these opportunities, or contact us at support@pachamama.org to discuss how you can get involved. 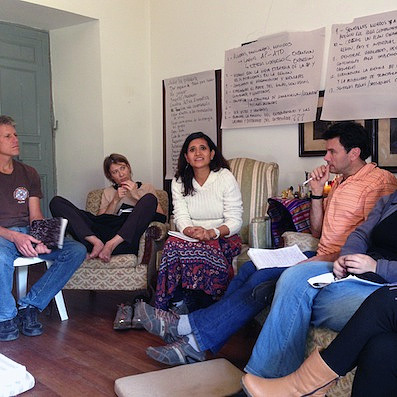 Your first step into this leadership program is to register for the Pachamama Alliance Global Commons, an online community where you'll be able to access online tools and resources, manage your events, connect with other Facilitators around the world and stay updated about our shared work. On the Global Commons, you’ll also be able to meet and collaborate with people from all over the world who are passionate about creating a new future for humanity. "What I love about being involved in offering the Symposium is the great conversations it generates with a whole range of people. As a result of my involvement in the Symposium my life has transformed at all levels. Personally I feel more connected and grounded and present to the gift of life than I have ever been." "Becoming Facilitators deepened our connection to the Symposium's message and purpose. It opened doors within us, leading us to an incredible community of people and inviting us to develop ourselves spiritually. You become more than you thought you could become by bringing the Symposium to others. The Symposium has been such a beautiful gift to share; presenting it keeps us empowered, positive and hopeful." "Since I attended my first Symposium in November 2007 at Spirit Rock, my life hasn't been the same. 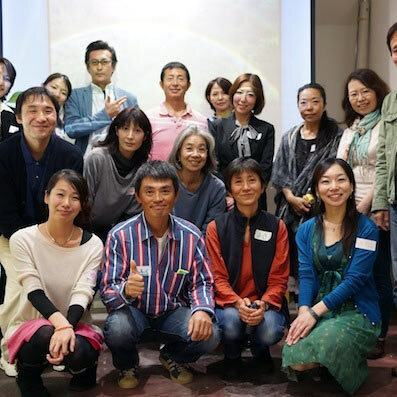 As a facilitator, one of the most amazing thing that happens is that you get in touch with people all over the world that share your values, think in the same way, and have the same dedication and driving force to bring forth an environmentally sustainable, socially just, and spiritual fulfilling world. I love seeing the transformation that happens during the Symposium and seeing participants leave in a state of hope, and they feel empowered to start taking action in their community." "When I decided to become a facilitator, my life began to change. It's like some great existence is maneuvering my life. I found myself surrounded by people who share the same vision of how we want the Earth to be, not only in Japan but all around the world. 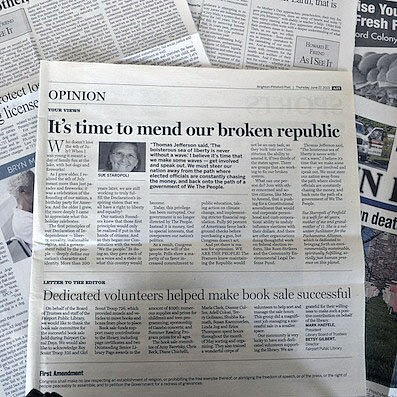 I am grateful that I made a right decision to become a facilitator." "Being a Pachamama Alliance Facilitator gives me the opportunity to understand what it means to embody a purpose. This understanding is changing my life and my way of interacting with others, the environment and even with myself."